Much depends, of course, on whether you can read Spanish or not! We will start by assuming you don’t. Our student rightly pointed out that the first ‘port of call’ will most likely be the major study of Music in Aztec and Inca Territory by Dr. Robert Stevenson, (retired) Professor of Musicology at UCLA (California), published in 1968. Many of us have well-thumbed copies of his highly erudite and pioneering yet accessible book (few can boast, as we can, a personal letter of encouragement from Dr. Stevenson, full of gems of wisdom, including (see pic 1) ’Any discussion of sound sources that does not dwell on disciplined learning in [the] calmécac goes astray...’) You can learn more about Dr. Stevenson’s eminent career - ‘one of the most prolific American musicologists of the 20th century’ - below. • Music Before Columbus (1971). • The Singing of the New World: Indigenous Voice in the Era of European Contact by Gary Tomlinson (2007). 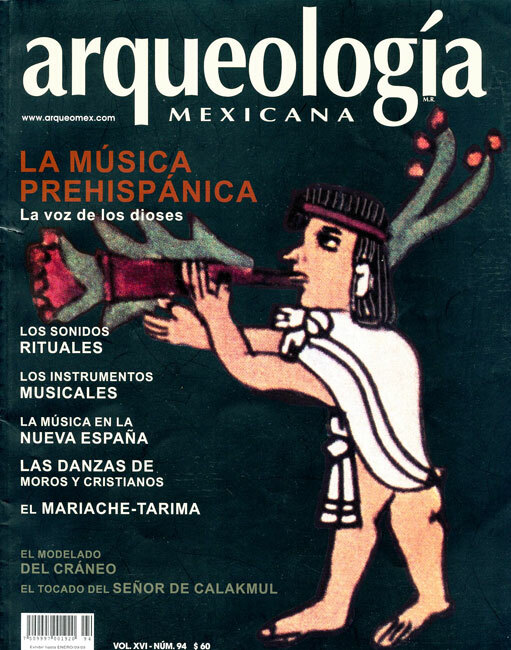 There are good introductory summaries of Aztec music available to online subscribers of the world famous and encyclopaedic New Grove Dictionary of Music and Musicians, accessible via Grove Music Online, now part of Oxford Music Online - follow link below (the excellent article on ‘Aztec Music’ was written by Dr. Robert Stevenson). 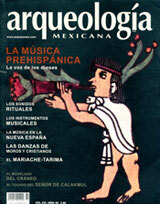 Search also for ‘Mexico: Traditional music: History: Pre-Columbian cultures’. A ‘new’ name to look out for is our good friend and member of our Panel of Experts Dr. Arnd Adje Both, who has quickly become a world authority on Mexica music. If you peruse his website (link below) you will find some articles of his available in English. 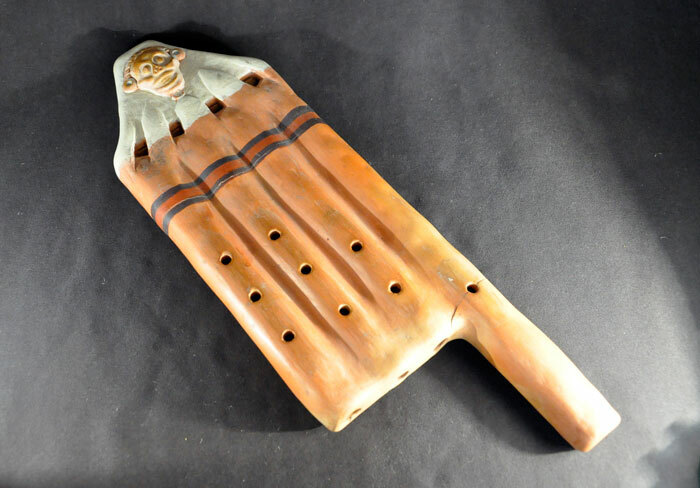 Horizontes de la música precortesiana by Pablo Castellanos (1970). • 4-barrelled flute: photo by Ian Mursell/Mexicolore. Mexicolore replies: Thanks, Chris! We’ve got the same link above - well recommended.